The ‘Frozen 2’ Teaser Trailer Is Finally Here: Watch Now! Walt Disney Animation Studios released the first look on Wednesday, which seems to have a darker tone than we expected! The trailer opens with Elsa (Idina Menzel) looking determined as she stares at the raging waves of the ocean from a black sand shore. She has definitely dropped the “conceal don’t feel” mantra and is hoping to strengthen her powers by attempting to run across the water – but, has she met her match? 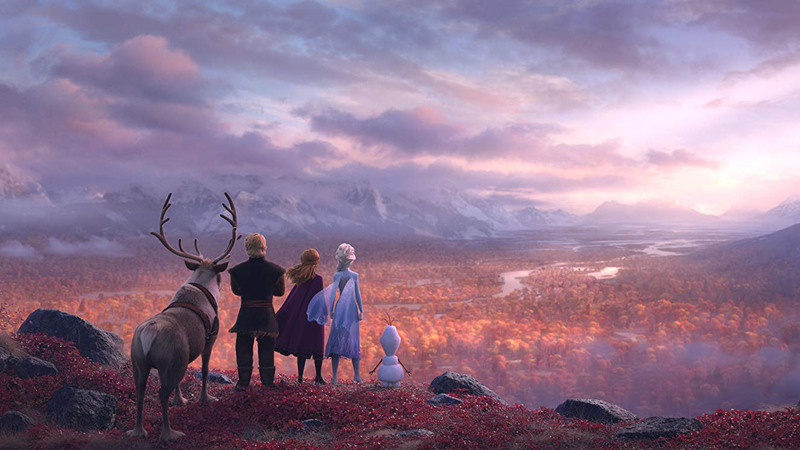 It looks like Ana (Kristen Bell) and Kristoff (Johnathan Groff) are also pushing themselves to the limit on another epic journey with Sven and Olaf by their side. We are picking up some major autumn vibes, which would certainly be an uncharted season for the crew! In one of the scenes, The gang is seen looking off a cliff onto a valley full of colorful trees. Ana is fierce AF in the the final scene when she takes Kristoff’s sword and thwarts an attacker! We still have so many questions…but, our love is an open door! “Frozen 2” hits theaters November 22, 2019. Do you wanna watch the trailer?